Explore some of New Zealand's best geothermal wonders with a break at the Copthorne Hotel Rotorua. 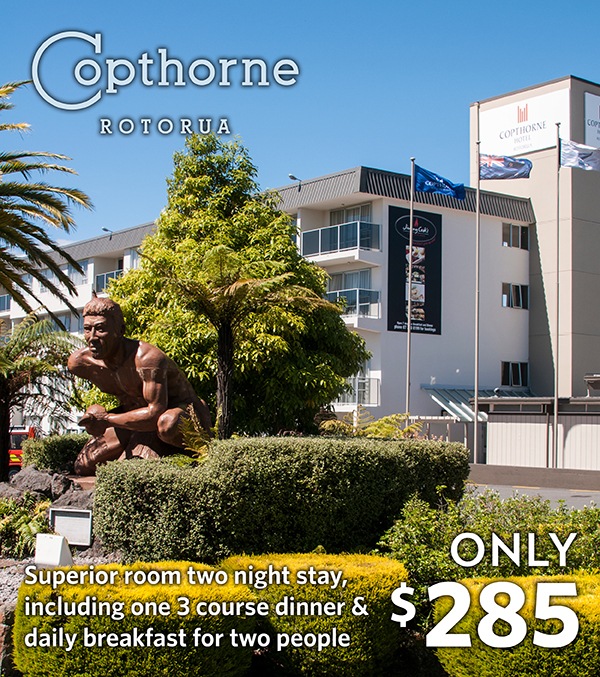 This gift voucher entitles two people to enjoy a two night stay in a Superior Room at Copthorne Hotel Rotorua and includes breakfast for two daily, plus a three course dinner for two from the A La Carte menu on one night. Going Green – to help protect our environment your linen will not be changed during the course of your 2 day stay. Our room service will make your bed, top up the amenities and take away any towels left on the floor.